What a great few weeks it’s been for The Disclosures. 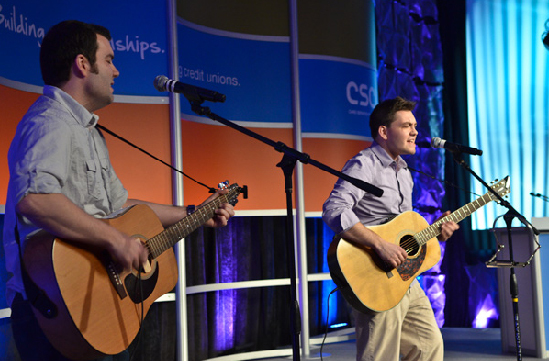 It started with us playing the Beach Party for CSCU’s Annual Meeting in Disney World. We had a great time playing for attendees and got to listen to Aron Ralston’s inspiring keynote the next morning (Have you seen 127 Hours? That’s his story). Extra cool: Aron was at the Beach Party and when we met him the next morning, he said we reminded him of Tenacious D. Best. Compliment. Ever. 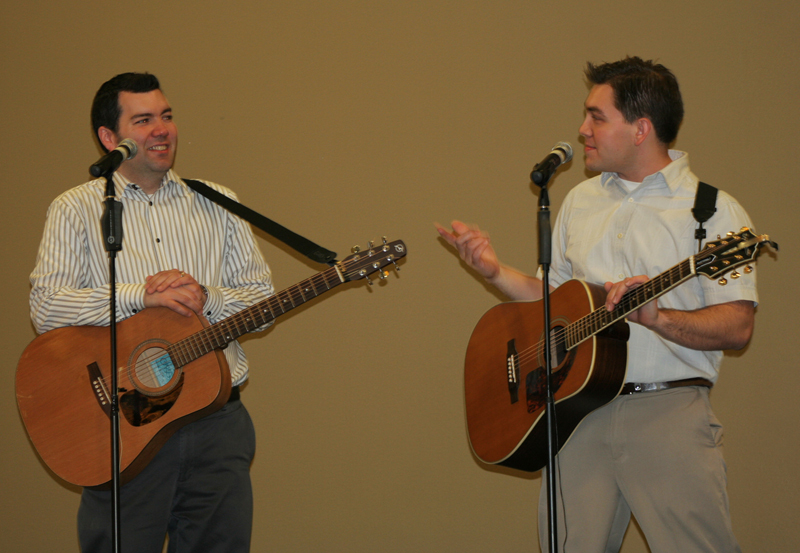 We do strive to be the Tenacious D of the credit union world in our own small way. 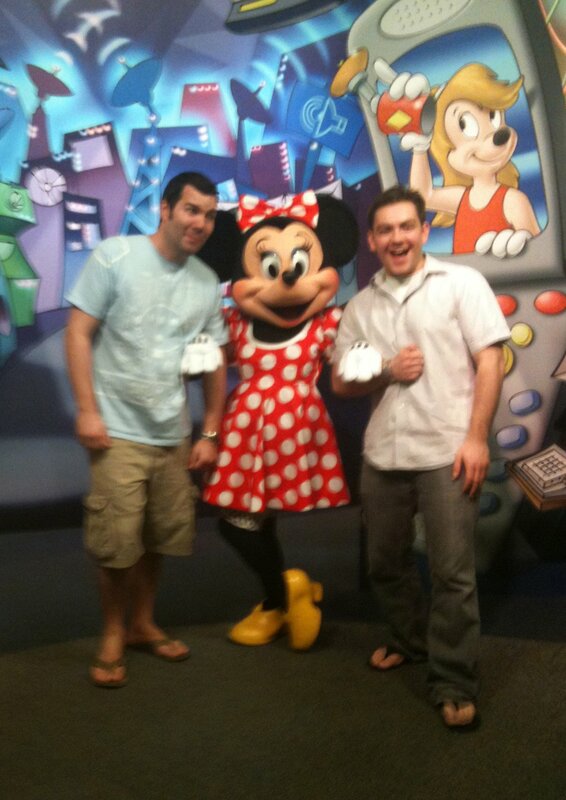 We also got to hang out at Epcot Center the next day. We had a lot of fun (how can you not have fun seeing the glorious 3-D Michael Jackson science-fiction film/ride Captain EO?) and we got to meet many Disney characters. See our small photo album here. Last week, we were in another vacation spot – the Wisconsin Dells – to emcee the Wisconsin CU League Annual Convention as well as do a very well attended breakout session on credit union history and philosophy. It was a great time all around. We introduced general session speakers with customized little jingles, played our own songs (including a rare, live version of “Don’t Change Interchange“), told bad jokes on stage, and met even more amazing and nice CU folks from around the state. 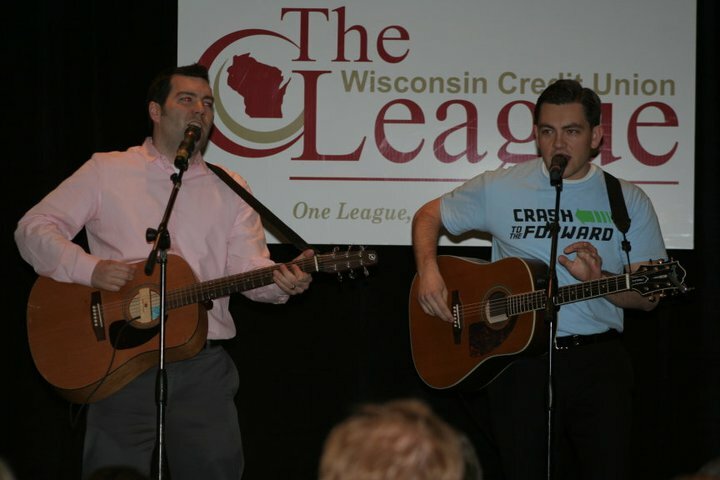 In essence, we loved playing our music and sharing the credit union love with others at these events. Does your credit union organization have an event or staff meeting coming up? Check out our booking page to learn more about how we can rock out with you and your attendees/employees. This entry was posted on May 13, 2011 by Christopher. It was filed under Music News .